Advent is a time to notice how we are bound by sin: bound by the landscapes of our minds and hearts, by systems and paths which aren’t good enough. baptism of repentance does not undo past sins, but it does unbind people from them. It opens the way for a life lived in God’s peace. Today we are invited to be unbound. 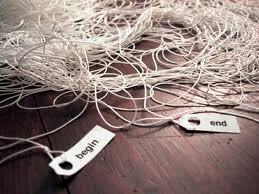 As you look at this image what sins at you being invited to be untangled from? As a church, or as a country, what sins are we being untangled from? Where is peace this advent?